Disclosure: We attended British Soccer Camp in exchange for this post. All opinions are my own. 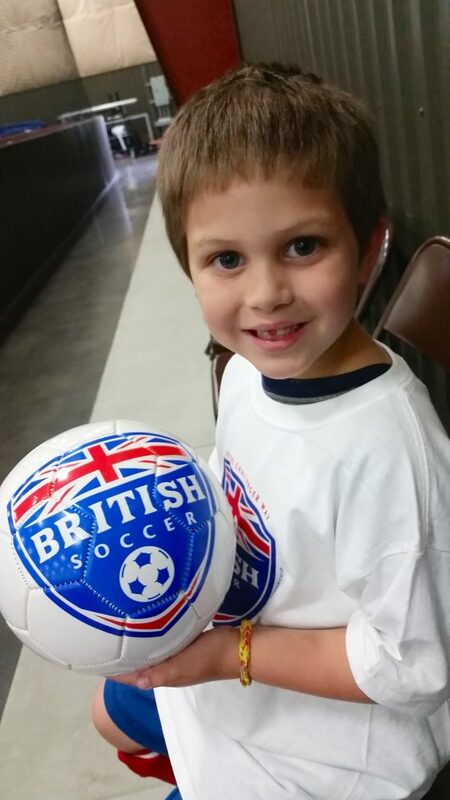 When we registered we also received a British Soccer camp ball that my son used everyday to practice and play during camp as well as a British Soccer Camp shirt. He was SO SO excited and for his age group they met every day (Monday through Friday) for an hour and a half each morning. 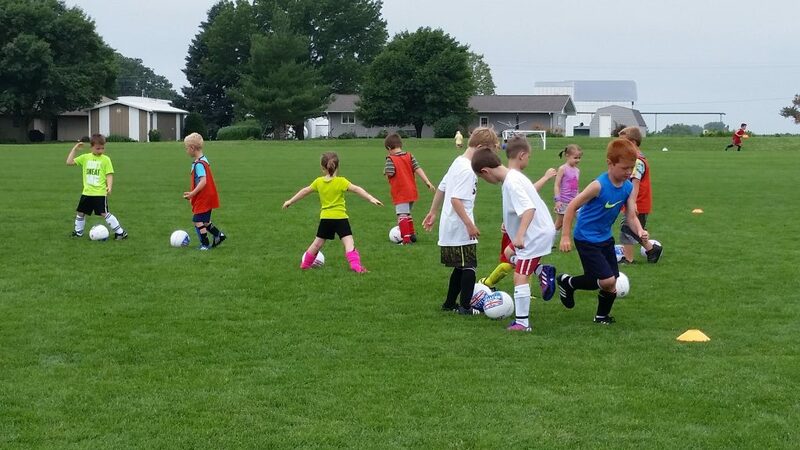 The older age groups have longer camp times and "bonus" options for additional scrimmage and practice. Next year we're already planning on signing up again and he'll have the longer camp times. For his age group an hour and a half was perfect because he was totally exhausted by the end of the week! During our week we had some rainy weather to deal with so they moved soccer camp indoors when the weather was bad. I cannot RAVE to you enough how much we loved this camp. Our age group had 2 coaches - one was from England and one was from Wales and they were just absolutely fabulous with the children. There was no shortage of patience, hugs, and kindness from them throughout the week. I saw them tie shoes, constantly get climbed on and tickled, and deal with tears, outbursts and tantrums. They had kids who got too tired to play or just pouted and sat in the middle of the field. I think it drove me more nuts than them and they did an A+ job of dealing with kids on all sorts of levels. 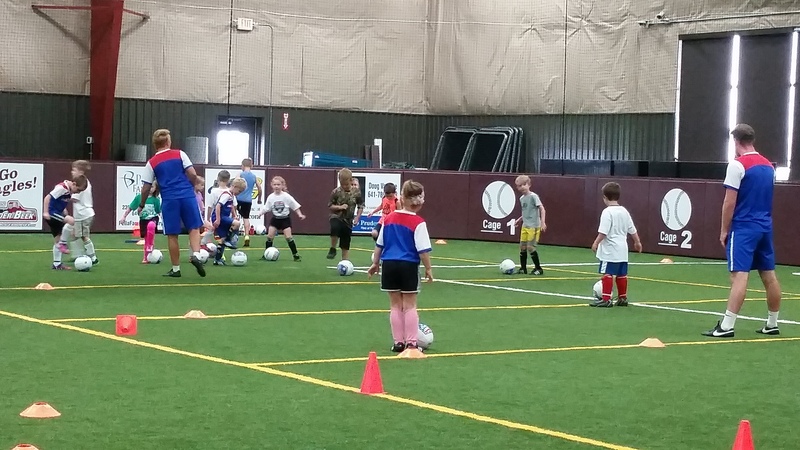 I wasn't sure what to expect skill wise for my son's age group but the camp was VERY well planned out. Coaches called and encouraged the kids by name all week. 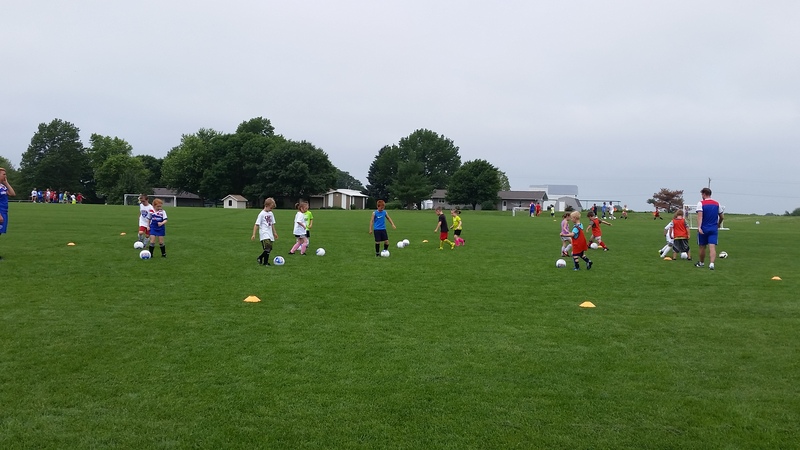 Common kid-friendly games like freeze tag were played but with using their soccer balls to increase skill and there were plenty of water and rest breaks built in. At the end of each camp day the kids had the chance to scrimmage against each other and show off their mad soccer skills. Above you can see the kids individually working on "dribbling" their soccer balls around the field to various cones - I was pretty amazed at how smoothly they made everything go! For safety reasons we had to sign our kids in and out every day too. 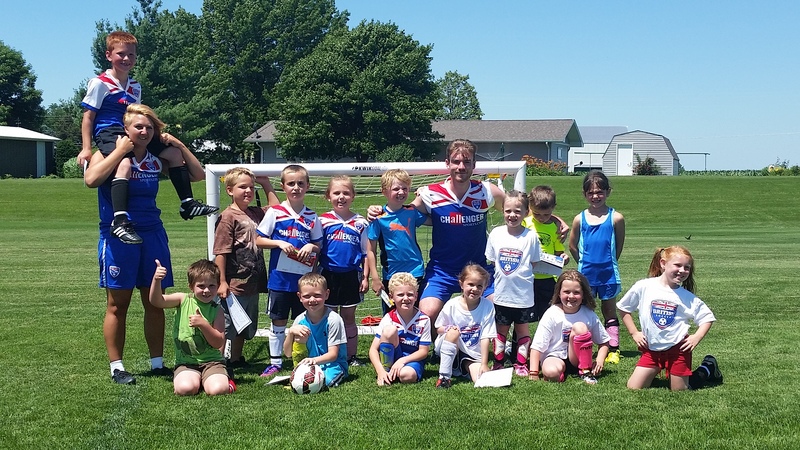 I was 100%++ happy with British Soccer Camp and am SO glad I learned about it as we will be participating as long as my son is interested in soccer. One year I'm also hoping we can host a coach (more info here) where you can actually house some of the British coaches for a discount on your camp price. (which is totally reasonable anyway) The last day the kids had an assignment to color the flag of Wales and London where our coaches were from and they handed out special skills and character awards and took group photos. The coaches even signed the back of the kids soccer shirts! 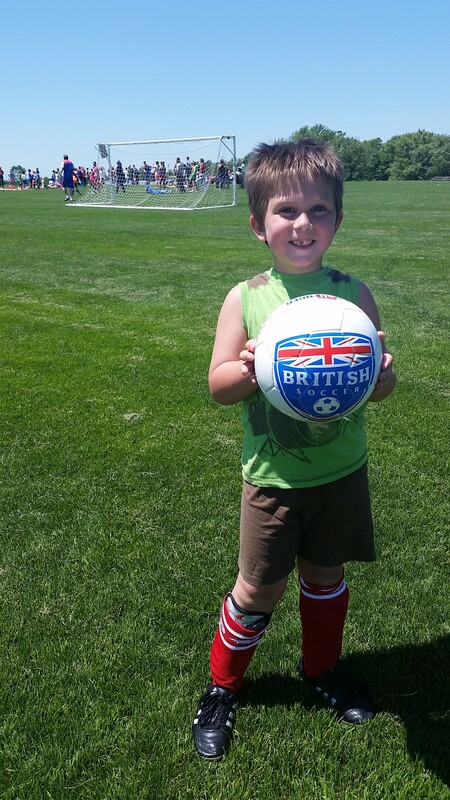 I DEFINITELY recommend checking out British Soccer Camp for your kids - it was a blast and totally worth it!